We’re taking a different approach to 2015 player reviews. Seeing as Mike has a newborn, Daniel basically lives in China and Chad and I are pretty busy with life in general, we’re going to do positional reviews. Just be happy you’re getting any kind of reviews. I’m just kidding. I’m not that big a jerk. Last year, the Dodgers’ catching situation couldn’t have been any worse. They ranked last in WAR (-1.0), offensive rating (-38.4) and second-to-last in wRC+ (59) and wOBA (.250). It was a dismal season. 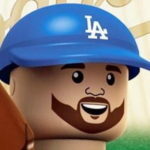 With the acquisition of Yasmani Grandal and A.J. Ellis‘ resurgent second half, the Dodgers had fifth in WAR (3.7), third in offensive rating (3.8), second in both wRC+ (114) and wOBA (.333). Odds are quite good that if Grandal hadn’t finished the season so poorly, they would have topped the majors in most — if not all — of those categories. Another thing that helped was the fact Drew Butera, Tim Federowicz and the assaulter Miguel Olivo didn’t log any time with the Dodgers, because they were pretty bad last season. Austin Barnes, in extremely limited playing time (37 plate appearances), had a 93 wRC+ and didn’t embarrass himself defensively. Grandal entered this season with a lot of pressure on him because he was the centerpiece of the Matt Kemp trade to San Diego. Things got off to a rocky start in spring training, when it appeared Grandal forgot how to actually catch the ball. He eventually got that all situated, but his bat dragged to begin the season. Grandal hit just .179/.313/.268 through May 1. He hit .327/.424/.580 over his next 66 games. He was selected to the National League All-Star team and was the best hitting catcher in the majors at the time. His best game came on May 7 against the Brewers. He went 4-for-4 with two home runs, eight RBIs and two walks. Then, a shoulder injury that never got better got the best of him. He finished the season by going 6-for-94. That’s not a typo. In his final 31 games, he hit .064/.226/.096 with a single home run. He also went 1-for-10 in the postseason. His lone hit was a 3-run single (2 RBIs) in New York in Game 3 … a game the Dodgers would lose 13-7. Grandal started Game 5 of the NLDS, which drew some criticism. It was painfully obvious he wasn’t going to do a lot on offense, but with Zack Greinke on the mound, it was hard to argue against starting Grandal. But he was not the reason the Dodgers lost the game and series. He had shoulder surgery shortly after the season. What cannot be understated was his impact behind the plate. He was known as an elite pitch framer, and the data in 2015 backed up that claim. He topped Baseball Prospectus’ list in framing runs added — 6.9 better than the Pirates’ Francisco Cervelli. He also got Dodger pitching 180 extra strikes throughout the course of the season — nearly 47 more than Cervelli. Grandal was third StatCorner’s runs above average at 20.8. By all accounts, he was baseball’s best framer. Greinke spoke highly of Grandal early in the season. “And it’s apparently working. After Zack Greinke, who was also thought to prefer pitching to Ellis, threw six strong innings Tuesday with Grandal behind the plate, he could hardly stop praising the catcher. ‘He’s been unbelievable back there,’ Greinke said. ‘His catching is better than advertised, and working with me individually, he’s been as good as you could expect. I don’t think, from what I’ve seen so far, you could ever have expected anything more. ‘He’s done everything. His hands are great. He’s blocked everything I’ve thrown. People stole on him last year, but he’s had some really good throws in games I’ve thrown in spring training. And then his game calling’s been good. High praise from one of the most honest players in the game. Grandal is entering his age-27 season and, as long as his shoulder is healthy, should be quite the asset for the Dodgers behind the plate for years to come. Ellis entered last offseason as a guy who might be non-tendered after a dreadful 2014 season. But, he’s one of Clayton Kershaw‘s best friends on the team — and his catcher — so there was really no doubt that he’d return. But the Dodgers couldn’t sustain another 72 wRC+, -0.6 WAR season from him. They acquired Grandal to be the starter, which was absolutely the right decision. When Grandal began to struggle and got hurt, Ellis stepped up — big time. Through the first three months of the season, Ellis had appeared in just 26 games (23 starts) and hit .171/.293/.214. Oh man, here we go again. Mike tried to warn us not to fret about Ellis. “Well, there’s a few reasons, and I’ll be totally up-front about my bias in favor of the player who is universally regarded as one of the best people in baseball. Primarily, there’s the fact that no matter how badly they play, it’s incredibly difficult for a backup catcher to be worth more than a win or so in either direction over the course of the season. They just don’t get enough playing time, and the mild difference between one backup and a slightly better backup makes so little impact. The pain involved in removing a guy that Kershaw (and others) have been so open about wanting to throw to simply isn’t worth it. Also, Mike pointed out there was no way Ellis could sustain a 6 wRC+ (at the time) throughout the course of the season. It just wasn’t possible. But then, Ellis looked like the Ellis of 2012. He hit .279/.394/.523 with seven home runs in 37 games. His best game came against Oakland on Aug. 18, when he went 1-for-1 with a 3-run home run and four walks. His homer in the eighth inning gave the Dodgers a 4-1 lead, only to see the bullpen, ultimately, blow the game. But Ellis was back. He was one of the league’s best backup catchers and helped contribute to some premium offense from the catching position. Defensively, Ellis looked like (to me) he was making more of an effort to frame pitches in spring training. Unfortunately, the data didn’t bear that out over the season. He still finished near the bottom of BP’s runs added by count (-2.1, 98th out of 109th) and StatCorner’s RAA (ninth from the bottom at -8.8). But he still calls a great game, as Kershaw would confirm. Ellis is arbitration-eligible and set to make about $4.5 million in 2016 via the process. Odds are quite good Ellis will be back — his resurgent 2015 assures that — and will probably avoid arbitration. He isn’t going to be a full-time guy, but it’s nice that the Dodgers have a legitimate backup catcher, especially seeing as Grandal isn’t a lock to play 130 games. “Who?” … most Dodger fans on Dec. 11 after he was acquired in the Dee Gordon trade. Barnes, 25, was known as a light-hitting, versatile prospect in the minors before being acquired. He played catcher and also dabbled at second- and third base. This season, he played 89 games behind the dish and just one at second- and third base, respectively. The Dodgers’ player development department obviously has an idea of what it wants Barnes to be, but having that positional versatility could help him down the road. There wasn’t a lot of MLB sample for Barnes, but he shined while at Triple-A Oklahoma City. He hit .315/.389/.479 with nine home runs and almost a 1:1 walk-to-strikeout ratio. He was PCL All-Star (mid- and post-season) and should see plenty of time in the majors in 2016. He was seen as one of the final pieces of the Dee Gordon trade, but he could end up being one of the most valuable. Here’s former FanGraphs’ lead prospect analyst Kiley McDaniel (who has since been hired by the Braves) after the trade was made. Chad had the first in-depth look at Barnes after the deal. “The newly 25-year-old Barnes has always been at about the league-average age, which is a bit old for highly touted prospects (at Joc Pederson‘s age, Barnes was in A-ball). Nevertheless, he’s put together solid lines at A- (.288/.369/.361/.730), A (.318/.401/.481/.882), and A+ (.279/.373/.368/.741). Barnes hasn’t always shown the power, nor the raw tools, to generate fanfare, but he’s been productive via a combination of plate discipline and consistent hard contact. Despite his age, it’s his performance at AA that gives some hope that he could still have potential as a regular. In 422 plate appearances at the level, he’s produced a .303/.413/.503/.916 line, with a K/BB ratio of 46/66, 39 extra-base hits, and eight stolen bases without being thrown out, for good measure. Furthermore, against prospects within an organization’s top 20, Barnes has hit .305 with 17 XBH, and 25 BB to 32 K in 196 PA from 2013 to 2014. For the first time in awhile, the Dodgers have three legitimate catchers. All of them figure into the 2016 plans, and Grandal and Barnes figure to be longer-term staples in the organization.